through out the fiber while simultaneously minimizing grain size. 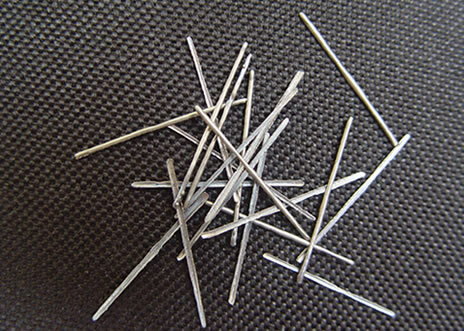 When coupled with skill of blending non-standard levels of performance enhancing key trace elements to the melt, a unique range of dedicated refractory fiber alloys have been produced which provide outstanding oxidation resistance and unmatched performance at elevated temperature.melt extract steel fiber of our company impart increased thermal shock resistance, steep thermal gradients resistance and mechanical shock resistance, minimizing damage and delaying failure caused by cracking. By increasing refractory lifetimes steel fiber refractory reinforcement offers the end user a reduction in downtime and substantial savings in materials and labor costs. 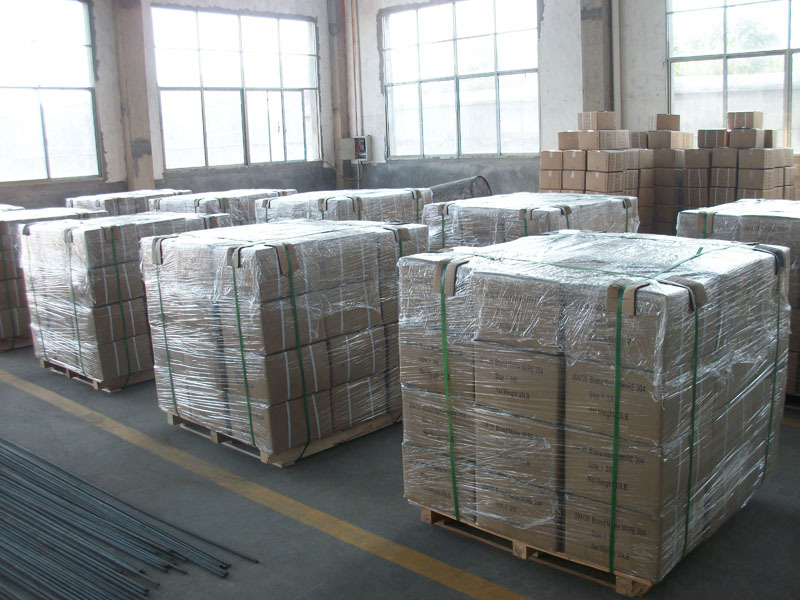 Melt Extract stainless fibers are fully annealed and therefore are more pliable and ductile. This is of particular benefit during the mixing cycle and when the refractory composite is installed. These pliable fibers are not only more user-friendly than the stiff "needle-like" cut fibers, but also have better flow characteristics. Dispersion is further aided by the optimum Aspect Ratio design guaranteeing rapid fiber separation during the mixing phase. 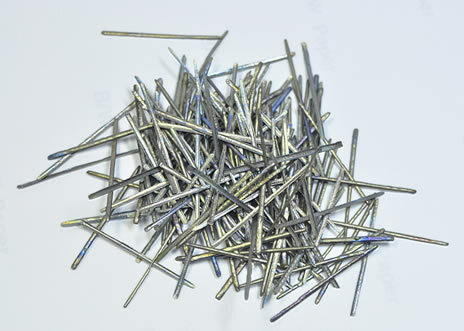 Cost savings are the main reason for adding stainless steel fibers. In all areas of high thermal and mechanical shock, fibers will at least double refractory life. Fiber costs up to 50% lower than comparable products.Low cost but high performance melt extract steel fibers provide the quickest payback. 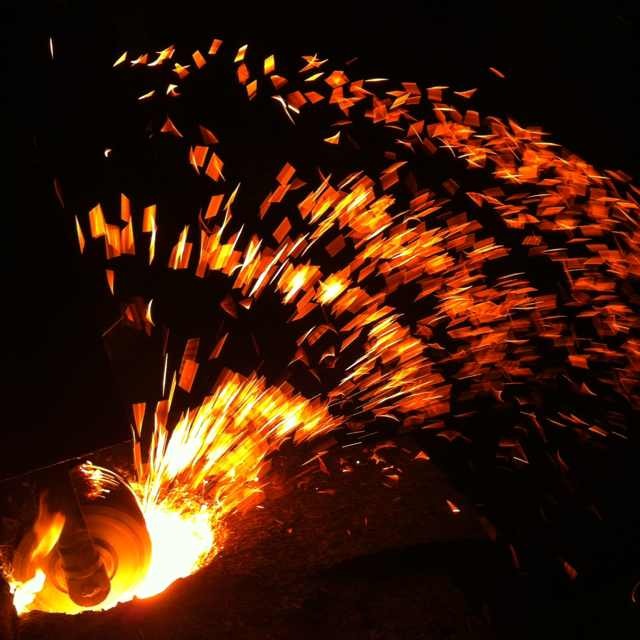 Our quality product costs substantially less because we produce our molten steel and spun fiber on-line in one fully integrated manufacturing plant. 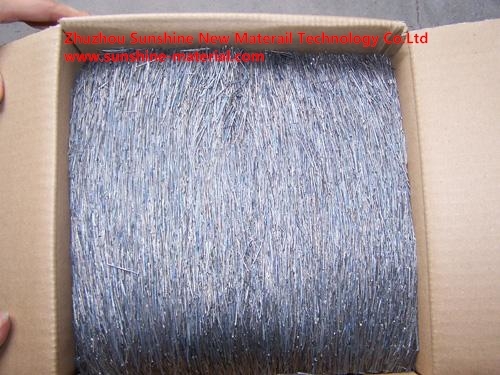 We are able to keep fiber manufacturing costs to a minimum, which is reflected in the very competitive prices.We has developed melt extract steel fiber which features thermal shock resistance, steep thermal gradients resistance and mechanical shock resistance, minimizing damage and decaying failure caused by cracking. By increasing refractory lifetimes steel fiber refractory reinforcement offers the end user a reduction in downtime and substantial savings in materials and labor costs.